Since 2007, I've been working on my Master Word List, something every professional crossword writer needs. The fact that it still isn't done shows that I obviously don't work on it regularly! It's a bit of a tedious task, to be honest. 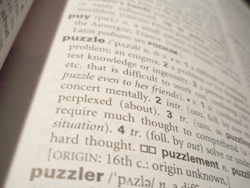 Crossword words are an unusual subset — plurals, superlative forms (-ier -est) and verb & adverb forms (-ing -ly etc) are best avoided, there should no offensive or swear words, no gory, medical or highly technical terms, no sexual terms or slang, no really depressing words (coffin, cadaver, suicide etc), and no American spellings (for Aussie crosswords anyway). So I'm removing as many words as I'm putting in. I'm adding things like well known Australian slang, place names from around the world, foody terms, very short phrases, and names of well known people. 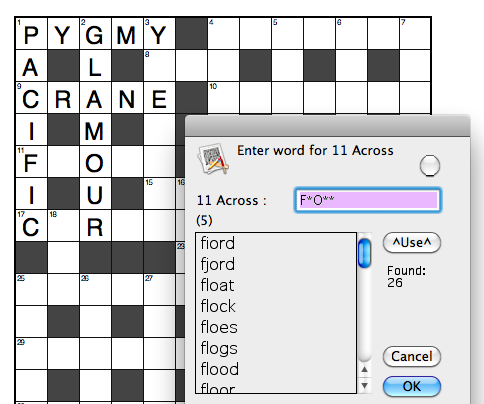 My word list helps give the crosswords I write "my style", so it's a vital part of my professional 'tool kit'. 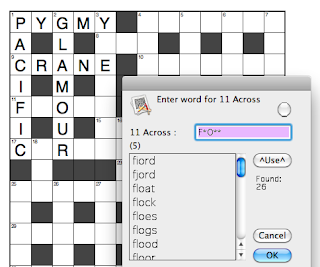 The 'raw' word list that my husband found and is the base of my crossword software has about 58,000 words. It is from an American university, so there are a lot of the above words in it, especially technical scientific terms, disease names, and American spelling, of course. Out of these, I'll probably only leave the ones in red, roughly a third. So I'm going through the list word-by-word, checking it against the Australian Oxford Dictionary (AOD). Yeah, I'm reading the whole dictionary. Pity my memory isn't good enough to remember every word! It really would be a good idea for me to commit at least one hour a week to work on the list, otherwise it'll never get done! OK, and on with the story ... and then we can really get stuck into puzzles and words and stuff. 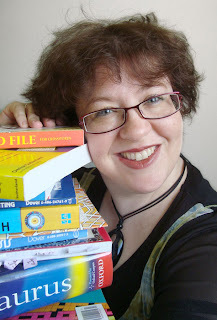 Over the years (1990s and on) I kept working on puzzles on and off, but I was also running a graphic design business and homeschooling my kids, and wasn't doing puzzles that seriously. In 1997, when I was a web developer for the Australian Science Archives Project, I managed to sneak in a collection of puzzles, so clearly they were always something I was thinking about! Finally, I had the opportunity to write a puzzle book about animals for the RSPCA. The Amazing Animal Puzzle Book came out in 2002. I was ready for a change in the business, and decided to give puzzles a proper try. I did some cold calling (yuck!) and actually landed a job writing a book for the Royal Flying Doctor Service in 2003 — I specialise in 'themed' puzzles, puzzles written on a particular topic, so for this book the entire book was about the RFDS, and was printed in large quantities and given to school children throughout Melbourne to educate them about the history and activities of the RFDS. It was also sold through its Visitors' Centres around the country. I even got my one and only book launch, which was great fun! It was held at the historic St John's Schoolhouse Museum. 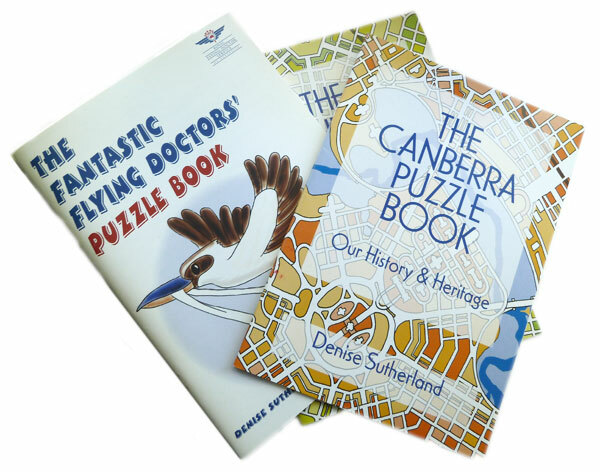 The Canberra Puzzle Book has been very successful, and is still in print, in its third printing. I followed it up with a self-funded Junior Canberra Puzzle Book for little kids, in 2006. I print both of these books in-house as blackline masters for teachers, and they continue to sell. 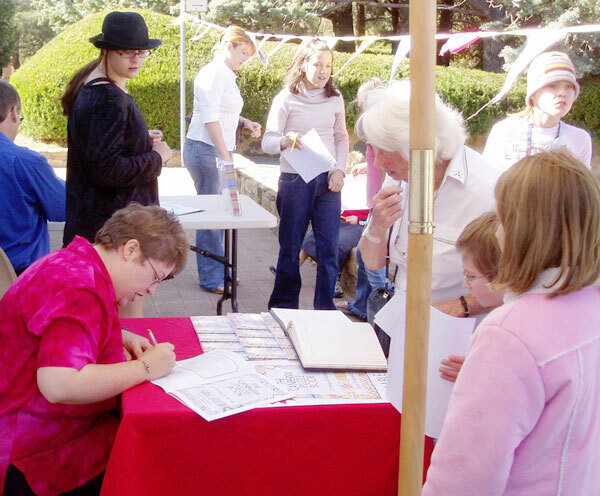 In 2006 I decided that I needed to get out self-published puzzle books (which are very expensive to publish, if you can't find a paying client! ), and approached various puzzle writers and publishers around Australia to see if they could offer me any sub-contracting work. Not that surprisingly, no-one could, but Greg Parker in Brisbane (of Puzzle Wizard fame) needed a graphic designer to do his magazine covers for him! I still design his World of Crosswords and Crossword Magic covers to this day, and designed his web site. In 2007 I got a big break — Wiley USA contacted me to ask if I would like to be a technical editor for one of their puzzle book titles (Brain Games For Dummies). They had found me via my web site! The technical editor's job, in this instance, was to test every puzzle in the book for accuracy and difficulty level, and check over the text as well. The work isn't well-paid — a flat fee for a lot of work — but I figured it was a 'paid' job interview! And sure enough, after doing this job, I was offered two books of my own, Word Searches For Dummies (2009) and Cracking Codes & Cryptograms For Dummies (2009) (more on these in future posts). I've also been technical editor on two more Dummies titles, Spanish Word Games For Dummies (no, I don't speak Spanish, there was a second technical editor who checked the language stuff!) in 2009 and Easy Crosswords For Seniors For Dummies in 2010 — all for Wiley USA. I've not had any Wiley book launches in Australia, as both my books have been published in America. Since then I've been chugging along with my syndicated puzzles, but no other book opportunities have arisen. But there are a few possibilities in the wings ... fingers crossed! I'll write about the process of writing puzzles more in the future, but this is the "career" path I've taken so far. Puzzle writing isn't a well-paid career, not by a long shot, and I have to do other things as well to cover my business costs, but I do love my work! So, how does one become a puzzle writer? This is a question I hear a lot, especially after someone asks me what I do, and the usual double-take, LOL! There's no real point in my life where I can say "That's when I decided to be a puzzle writer." I was always writing little books of crafts and activities for my younger brothers and sisters, which often included little mazes or other puzzles (and indexes, funnily enough, but that's a story for later!). I spent a great deal of time in hospital and immobilised in body plaster as a child (I was born with hip dysplasia), and I suppose that set the pattern for me for a lot of drawing, reading, and doing kid's activity books. My parents got me a subscription to the excellent children's magazine Cricket, which I received from its very first issue. I especially loved the puzzle pages. As a teen, I remember having a soma cube, tangrams, jigsaws, and of course Rubik's Cube, later on. I often solved crosswords and word searches. In fact I still have a soma cube on my desk now! Career-wise I always loved science, and the 'puzzle solving' nature of it ... finding an unknown, and (hopefully) solving it. I studied science at the Australian National University, but had to withdraw from my studies mid-way for medical reasons (severe RSI in both hands). 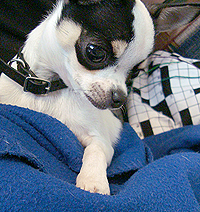 After I recovered, I decided to study graphic design (again, problem-solving, in a different arena). I completed my studies in 1987. In the late-1980s / early 1990s, the Australian Women's Weekly magazine used to run a competition which was to make your own crossword in an empty grid (placing your own black squares) with a fixed set of words, to get the highest score (difficult letters like Z, J and X scored more highly than common letters like E, T and N, and longer words scored better than shorter). I loved the challenge, and used to do this puzzle all the time. I often entered the competition (but never won!). When my son was young, in the late 1980s, my dad and I wrote a ridiculously complicated and far- too-difficult puzzle book, called The Old Riddle Book. I did illustrations for it, and we worked long and hard on the complex and interwoven puzzles. This project was great fun, and started me thinking more about how to write puzzles, what constituted a fair puzzle, and so on. I don't think this book will ever see the light of day, it was unfairly hard, but — hmmmm — maybe I could put a couple of the better puzzles up here for you to try! 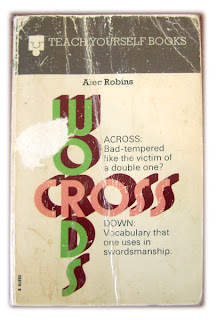 In 1992 I discovered this weather-beaten old book at Berkelouw's Book Barn in Berrima — Alec Robins' 1975 classic Crosswords, in the 'Teach Yourself Books' series. This book was mainly all about how to write cryptic clues, but also covered a history of crosswords, different types of crosswords, how to construct crossword grids in general, and fair play principles. This book was a really important find for me, and started me thinking about puzzles more seriously. I started to practice writing crosswords, and training myself — there aren't any formal courses, after all! So that's about my early days, and getting into the area ... I'll cover my further 'training' soon! Now that you've met the important people (Petal and Griff), I'll introduce myself ... I'm Denise Sutherland, I am a professional puzzle writer. I have studied biological sciences, and have a degree in graphic design. I am a trained indexer, too. Over the past ten years I have self-published about seven puzzle books, and have authored two books in the Dummies series: Word Searches For Dummies, and Cracking Codes and Cryptograms For Dummies (co-authored with Mark Koltko-Rivera), both for Wiley USA. I have also been technical editor on three Wiley puzzle books. I am a syndicated puzzle writer, too, which means that I have an agent who sells (and hopefully resells) my regular puzzle series to a range of newspapers and magazines around Australia and beyond. My agent is Auspac Media. I live in Canberra, Australia with my my husband Dr R (an astrophysicist) and two grown-up kids, who are 20 and 22. My daughter Ms J (20) is a games programming student, and my son Mr R (22) is a glassmaker (artist). I love knitting, watercolour painting, gourmet cooking and reading murder mysteries (what else?!). That's a very bare bones intro, but I'll flesh out the details in posts to come! Welcome to my new blog! This is a place where I'll write about puzzles, how to solve them, where to find them, interesting facts about them, how I write them, cool stuff about English, and other wordy kind of stuff. I will do my best to answer questions posed by you, too.